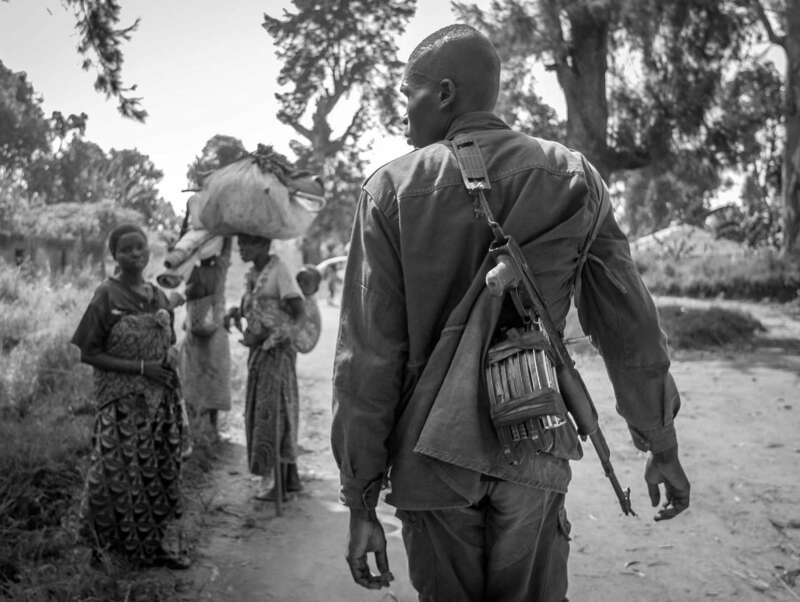 A solder roams along the path of IDPs (Internally displaced people) in the village of Gety, 60km southwest of Bunia, regional capital of Ituri district in eastern DR Congo. Due to the recent fighting between government forces and militia groups, tens of thousands have been displaced in the area. Both government and numerous militia groups were all blamed for terrorizing the local population.